After successfully finishing the race in 2014 and 2015, I was honored to be invited once again for the 34th Spartathlon Race in 2016. 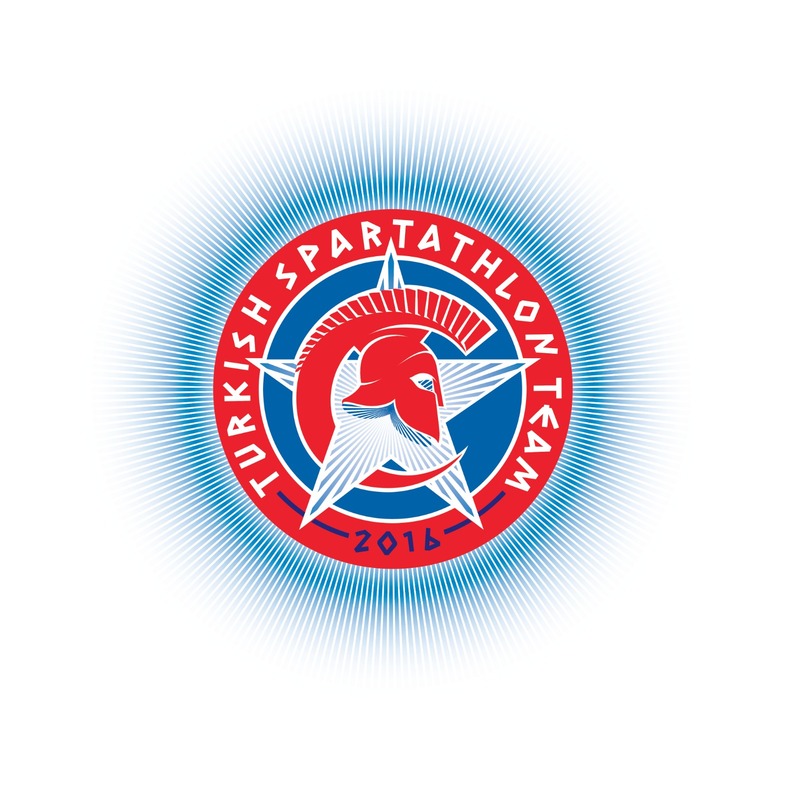 In Turkey, the number of trail ultras are increasing rapidly but we still don't have any road or track ultramarathons. 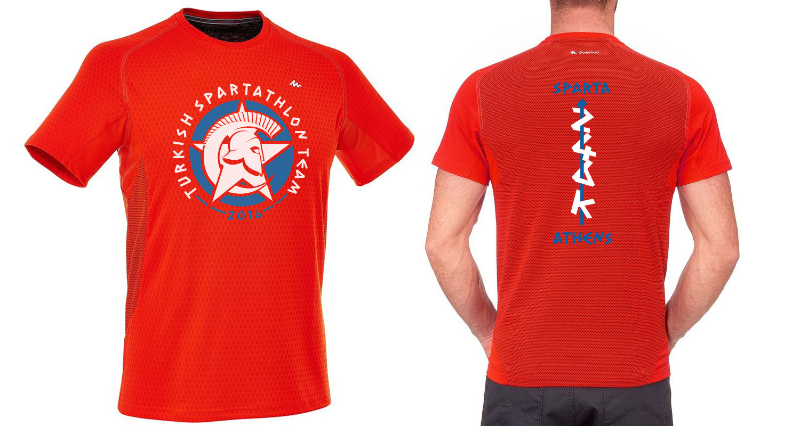 So, my training once again consisted of running a number of trail races up to 90 miles/140 km but just like the previous two years, finding specific training races for Spartathlon was a challenge. 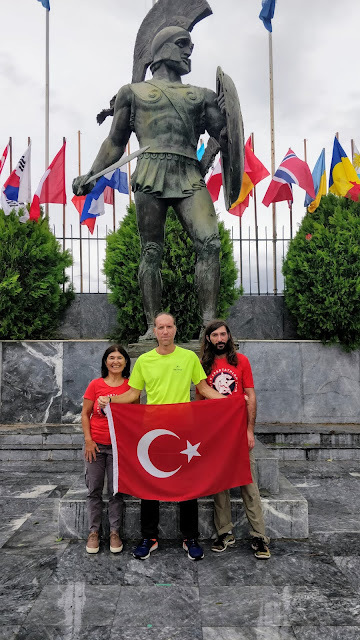 Even though we couldn't complete the whole course, I even participated in UTMB-PTL at the end of August as a part of the first Turkish PTL team to attempt it. 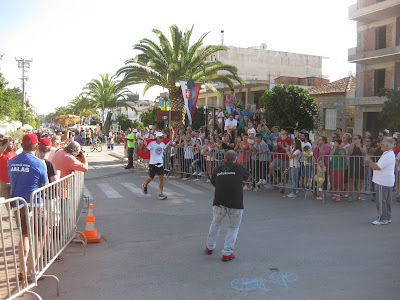 And compared to Spartathlon it felt like a totally different sport. 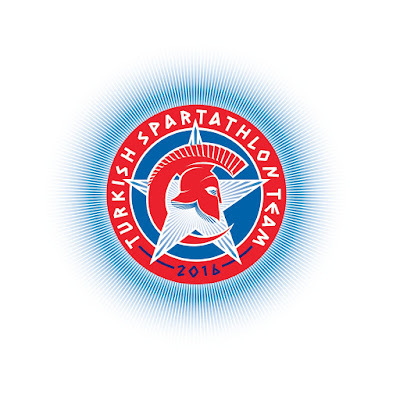 But when September came, it was all about Spartathlon. I was focused and determined for another finish. When I was standing at the foot of the Acropolis at 7am on Friday, the theme I chose for this year's race was three-peat. I come from a basketball background and I know that winning three championships in a row is always hard and rare. I had decided to divide the race into 4 different parts. The first 80K was going to be the first half of the regular season while 80 to 160K was going to be the second half. The playoffs would start at the 160K mark and the last marathon that started at the 205K point (the end of the second big climb) was going to be the Finals Series. I reminded myself that I didn't need to win every game. It was OK to lose some games in the regular season. The important thing was not to do something stupid that would put me out of the playoffs. I noticed this approach took some of the pressure off me throughout the race and it gave me something to hold on to when things didn't go as planned. The start of the race is always special. From excitement to doubts, it's a mixture of emotions. After the gun went off I found my own pace and got into the zone. 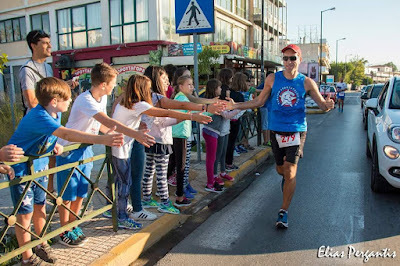 For a few kilometers, 3x Spartathlon winner Ivan Cudin was running 15 meters ahead of me as he wasn't going for a super fast time this year because of recent injuries. I saw lots of familiar faces and had a few words with them but I basically ran the first marathon alone in 3:45. After getting my handheld bottle at the station, I started the climb that comes after Megara. The weather was getting hot but it still wasn't that bad. I was using an ice bandana which seemed to help. We were told in the briefing that the high temps would be around 29 degrees the first day which was typical Spartathlon weather. The second day was going to be much hotter, though. After the 50K point, I saw Martin Hoakes from the Czech Republic and we leapfrogged one another a few times. I was feeling good until I was 65-70 km into the race but then it was around 1pm and the heat started to take its toll on me. I took a few quick walking breaks reminding myself that I don't need to win every game in the regular season. "Just don't do something stupid", I kept saying to myself. After a while, I climbed the last big hill and finally approached the Corinth Canal which always boosts morale and signals that you just have a few kilometers before the first major CP at 80K (Hellas Can Factory). My time was around 7:50, just a few minutes slower than the previous two years but I didn't have any major issues so I was happy with how things were going. I met with my crew and sat down for the first time to drink soup and eat some mashed potatoes. After a 10 minute break, I was on the move again. I was feeling good but the heat was really affecting me now. So I decided not to push too much and wait for the weather to cool down. I was running alone from the very beginning and at this point the voices in my head started to become annoying. It was getting harder and harder to silence them so I was desperately looking for someone to talk to. Unfortunately, there wasn't anyone near me running at a similar pace, so just I just kept going alone. When I reached Halkion Village (112.9K), it was getting cooler and the sun was about to go down. After drinking more soup, I grabbed my headlamp and arm sleeves. Sometime after the CP, I turned my headlamp on and noticed that someone was following me closely. I waited for him to join hoping that he speaks English so that we can talk a little bit. It turned out that he was a German guy named Bernhard Pfeifer who spoke English. 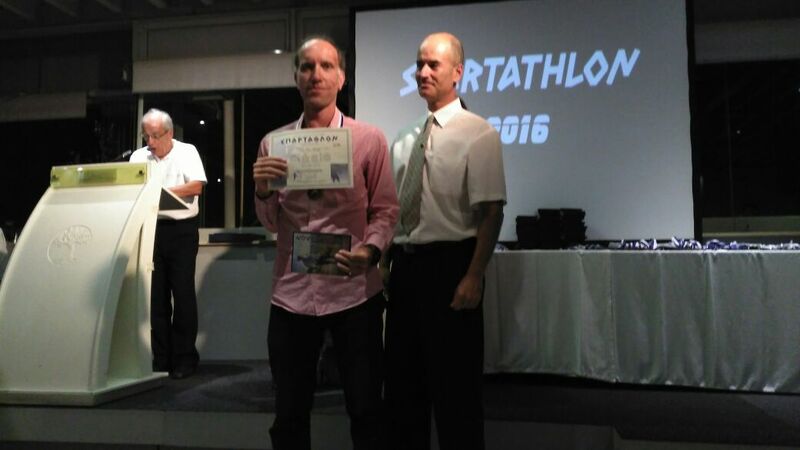 We started chatting with Bernhard and I learned that this was his second attempt at Spartathlon and that he'd had to stop at 90K last year. 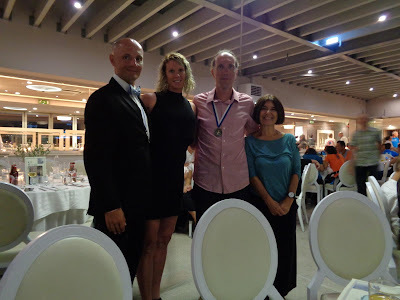 He told me that he ran 221 kilometers in a 24 hour race which was not flat and as a result he was selected for the German National Ultrarunning team. He also told me that he thought he'd made a mistake by putting his jacket at the mountain base (160K) because he was running with just a shirt and was already getting cold. He didn't have his headlamp either. I asked him if he had a crew and he said he didn't. My crew had a spare jacket for me so I told him that I would tell them to give him the jacket at the next major CP, Ancient Nemea (123.3K). 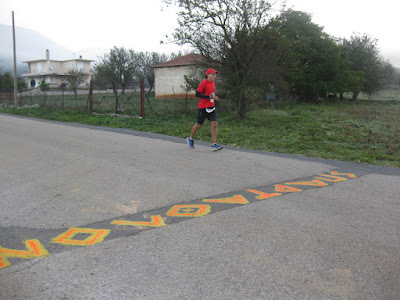 We ran that section at a good pace and arrived Ancient Nemea together. I gave him the jacket and he got his headlamp from the dropbag. But there was a big problem. His headlamp just wasn't working! It wasn't the batteries. It was a programmable headlamp so it wasn't possible to fix it without connecting to a computer. Therefore, Suna from my crew decided to give Bernhard her own headlamp and we left the CP together. We became a really good team with Bernhard and moved quite fast. He was really happy that he had the jacket and asked me some questions about the rest of the course and the challenges that waited for us. We talked about a lot of subjects and in just a few hours we found out that we actually had so much in common in our personal lives. It's really amazing how fast you become good friends with a complete stranger in an ultra. Bernhard was stronger on the uphills but I was catching up on flats and downhills. I didn't want to change my strategy so I told him a few times to just continue without me if I was too slow for him. We ran together until Malandreni Village (140K) and I needed some time to drink a little bit of soup while Bernhard left quickly. That was the last time I saw him in the race and I just hoped this time he'd finish. The next 20 kilometers, I ran alone. As I was approaching the mountain, it was getting colder and I was getting extremely sleepy. I even missed a turn just before Lyrkia Village (148.3K) but fortunately it added only about 400 meters to the total distance. Just like most people, I power hiked the last 5K before the mountain base (160K) and I was again sleepwalking around that section. I reached the Mountain Base in 19 hours and 5 minutes which was not great but a little bit better than the last two years so I was happy. For a moment, I thought I could even better my last year's time of 31:20 but quickly dismissed that thought as it was still early to think about that. More importantly, this time I didn't seem to have any stomach problems. I met with my crew, drank some soup and ate some more mashed potatoes. I told them everything was OK except that I was very sleepy. I needed to have some coffee before going up the mountain but as soon as I took a sip from the cup, I asked for a bag. And as soon as the bag came, I puked four times to empty everything in my stomach. Just like that, out of the blue. No previous sign, no warning, no nothing. Now, you need to understand that before I ran my first Spartathlon in 2014, I thought I had quite a strong stomach for ultras. I never puked in any race or in real life. Ever. 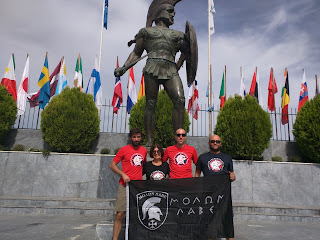 That perception changed quickly with Spartathlon because I puked badly in all of my three Spartathlons and every time it was at the Mountain Base. Anyway, back to the race. After throwing up, I needed to sit for another 10 minutes to recollect myself. I had to eat something to get some energy for the mountain but it was just not possible. Moreover, the sleep deprivation was getting worse. I took a few sips of tea with lemon, put some cheese in my pocket and went straight up the mountain. It was either getting very cold or I was feeling cold because I was sleepy and very low on energy. This time the climb felt longer and harder than I remembered but after a while I was at the top. I needed to sit there for a few minutes and drank some coke. That's where I learned that I can drink little bits of coke and water without irritating my stomach. Anything else was causing a vomiting reflex. My descent from the mountain was slow this year, too, as I didn't want to make a mistake in my sleep deprived state. The next section until Nestani (172K) is mostly flat so if you can still run you can make up some good amount of time. I made a deal with myself that if I ran this section hard, then I would get a 20-25 minute nap in Nestani. So, I pushed the pace as much as possible and ran past a number of people. When I finally arrived at Nestani, I was running on empty. I sat down and tried to eat some pasta and potatoes but it just wasn't possible. My body was shutting down and I couldn't swallow anything. I had no choice but to lie down on one of the mats outside the cafe. Even though I was under two blankets it took almost 10 minutes for me to stop shivering. I closed my eyes but couldn't go to sleep. After some time, I heard my crew talking with each other that it had been 25 minutes. At first I didn't believe it and I had to check my own watch but it was true. Don't you just love how time flies during ultras when you stop running? I needed to get up and eat something before leaving this CP but I have to admit for a moment it seemed liked an impossible task. But there was only one choice so I got up, went inside, changed my wet clothes, drank some soup and ate something that I don't remember. I told my crew that I was leaving in 5 minutes. For a few minutes, things were looking good again. But then, out of the blue, it happened once more. I asked for another bag and threw up everything again and again. After the race, Suna jokingly called this second puking episode as my "great encore". In reality though, it was a big blow because it not only took all of my remaining energy but also deflated the overall morale of the team. One of the race officials was concerned about my appearance and came over to see if I still wanted to continue in that state. I never thought about it, though. I still had more than 1.5 hours against the cut-offs at that point so I knew I wasn't going out without a fight. To be honest, I never had a great time in Nestani in the previous two years but when I was leaving this year I wasn't much more than a walking dead. I wanted to walk for some time but since I was stationary for a long time I was shivering in the cold weather. It was around 5:45 am and I couldn't believe how cold it was. I had to force myself to jog in order to create some heat. From that point on, I promised myself to drink only coke at the CPs and not to eat anything for a long time to let my stomach settle. After about 1.5 hours, the sun came up and my mood improved as expected. I focused on getting over the second hill which ends roughly at 205K. In my little mind game, it marked the beginning of the Finals Series. To my surprise, the coke-only strategy was working well enough and I was sensing that I was slowly coming back from the dead. The sun is coming up and I'm slowly coming back from the dead. When I was leaving the town of Tegea (195.3K), I continued straight ahead on an intersection. After some time I heard someone shouting from behind. I turned around and saw that it was a race official who was informing me that I had missed a left turn a few hundred feet ago. The marking was good. My brain was not. I thanked him a few times and took the correct route. After a few minutes, I saw a car coming up from behind. The driver rolled down the window and I saw that it was the same race official. He turned towards me and said, "You know, I believe the correct route is long enough. I don't think you need to make it harder by taking a longer route!". Haha! You know, there were not many things one could have said at that point to make me even smile but when I heard this I laughed out loud for a long time! When I finally arrived at the Ardamis Restaurant (212K), it was already over 30 degrees, just a scorching day. I was miserable, hot, sleepy, nauseated and very low on energy but to my surprise I could still jog the flats and the downhills. So it was all about enduring the pain for a few more hours. Just don't do something stupid and keep going. 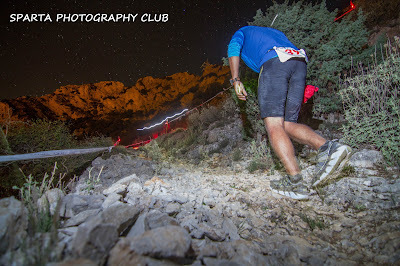 Approaching the Shell station at 235K, I came across Rolando who is the first guy from the Philippines to attempt the Spartathlon. He's a great guy with an enthusiastic crew. We had some good chat and ran until the next CP together. 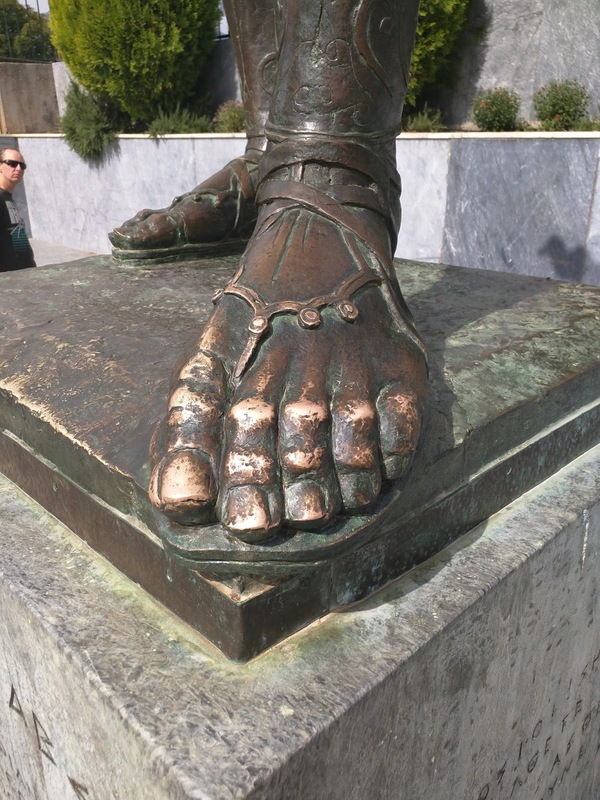 He left the CP before me, I ran the downhill section faster, then we met again just before entering the city of Sparta. I was exhausted and this time I wanted to enjoy this last bit as much as I can rather than forcing myself to run. I congratulated Rolando and told him to go if he had the energy and he did. The 74th CP was ahead of me. Every year I enjoy shaking hands with the volunteers in this CP so I did that before continuing for the last 2.4 kilometers. Then I called my brother who was in Istanbul this year so that he could watch the live feed. Two kids with bicycles were leading me as always. I thought I was annoying them because I was moving slow this year but they didn't seem to care. I patted myself on the back and finally made the last right turn, grabbed the flag from my crew and ran towards the King. 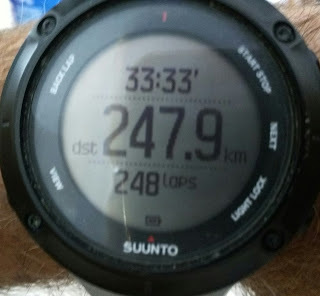 After 33 hours and 28 minutes, I was just a few meters from the greatest ultramarathon finish. 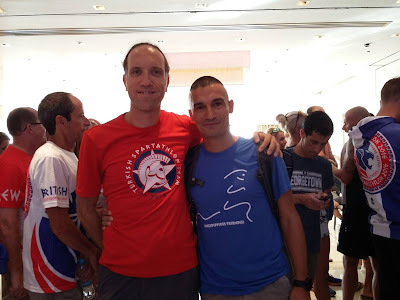 Kostis Papadimitriou, President of the International Spartathlon Association, gave me a hug and I was fortunate enough to touch those feet for the third time in three years. My main goal was to finish for the third time but one thing I wanted to do this year was to sort out the stomach problems I faced in the previous years. Unfortunately, it didn't happen. In 2014, I mostly used carbs such as gels, carb mixtures and drinks. In 2015, I changed my strategy to have some carbs and some real food. This year, I limited my carb intake a lot. I didn't take any gels, sport drinks or anything. Just soup, some coke and real food such as mashed potatoes and pasta at the crew CPs. It still didn't work out. I have a theory, though. I think it's not totally about the things I eat but rather about the conditions. First of all, the temperature difference is huge. Every year, we run in the heat for 10 hours on the first day and when it gets cold on the mountain, my body is shocked and I guess my stomach just shuts down. (For the third year in a row, I puked at the mountain base). Secondly, the race forces you to run fast from the beginning under hot conditions and it surely has an important effect, too. Last of all, it's not just me. 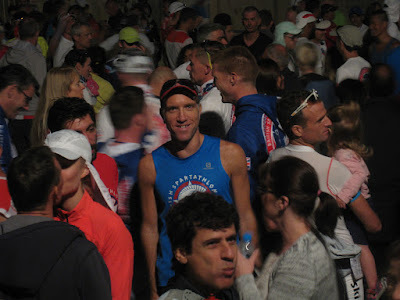 I know for a fact that stomach problems are very common among Spartathlon runners. Like I said, I never ever experience this many stomach issues in other races so it must be something specific about the conditions at the Spartathlon. So who knows? It's still an ongoing experiment and I'm looking forward to making more attempts to find a fix for it. Trying to figure out a fix is part of the game. Also last year in my report, I wrote that one of the reasons I was returning to Spartathlon was to prove myself that the first finish was not a fluke. This year I thought about this a lot on various parts of the course and definitely came to a conclusion. It took me three times to finally get this but now I can say that luck has nothing to do with Spartathlon. If you finish the Spartathlon, you finish because you deserve to finish! Suunto Ambit 3 Peak - 1 Second Recording, Charged two times with a portable charger. I was off-course a couple of times and stopped a little bit late. -To my great crew which consisted of my friends Suna Altan, Kerem Yaman and Atil Cuce. They supported me throughout the race and never lost confidence. Suna was there for the third time and she's now a very experienced Spartathlon crew chief who knows every little nuance. More importantly, she loves the race as much as I do. Kerem has done so many things to list and he's a guy who you can always trust. 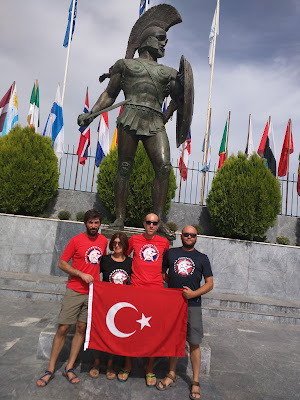 And finally, as the RD of Erciyes Sky Trail, Atil joined us in the last minute and he not only helped us but also gained valuable insight by following a world class race organization. 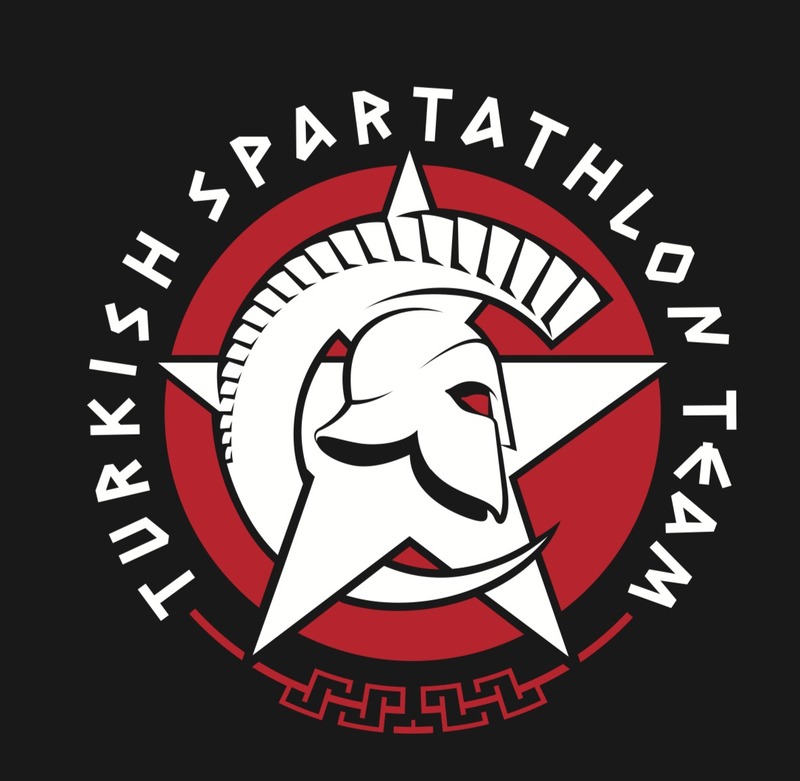 -To Kerem for designing the Turkish Spartathlon team logo and shirts. I always wanted to have our logo and shirts but just couldn't find the right person in the previous years. He was absolutely the right man for this job and I'm really proud of the outcome. We received great compliments throughout the week. -To my family and friends who supported me in this journey. Unlike the previous two years, my brother was unable to travel with me this time but he's definitely one of the biggest Spartathlon fans out there and he always supported me from a distance. -To everyone involved in the organization from President Kostis Papadimitriou to Nikolaos Petalas to Panagiotis Bonelis and all others in ISA. There are so many races in the world but there's a reason that there's only one Spartathlon. 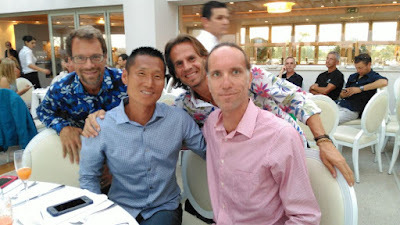 Thanks for maintaining the unique spirit, camaraderie and friendship of this race despite the increasing popularity of ultrarunning in general. -To all the volunteers who helped us on the course. The race simply wouldn't be the same without your selfless work. -To all the members of the Sparta Photography Club. We are sometimes too exhausted to thank you while we're running but please know that we very much appreciate your efforts to capture our unforgettable moments. -To Tommy Tedelund from Sweden for being a great roommate for the whole week. I have no doubt that with this year's experience he'll kiss those feet next year. To Andrei and Claire Nana for their friendship and support. To Sung Ho Choi and his lovely family whom we had most of our meals together this year. To Bernhard, Rolando, Martin and other runners from all around the world for sharing some of the kilometers with me on the course. To the legendary Seppo Leinonen and pioneer David Ireland for encouraging me whenever they saw me on the course. To the people of Greece and Sparta for welcoming us with open arms. To every Spartathlete who toed the line regardless of the outcome. Thank you, it was a privilege to be among you. I know, I know...What about next year, you ask. 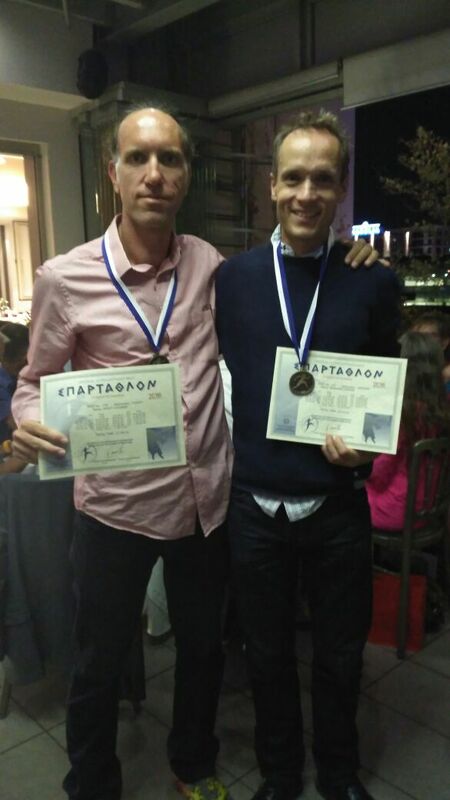 I'll tell you this: Last year, in his race report, my good friend Andrei Nana from the U.S. team wrote this: "Nikolaos Petalas (the Spartathlon statistician among many other functions) tells me the chance of finishing the race 4 consecutive times is about 1%.". (Andrei got his 4th consecutive finish this year!). 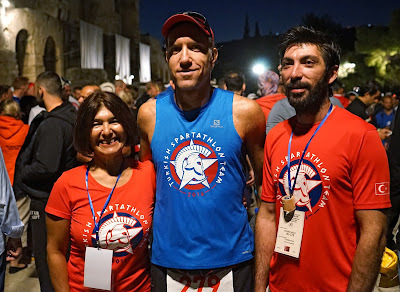 I think the chance of finishing Spartathlon 3 consecutive times is around 5% and I don't even have to say that I'm extremely proud and happy with that. In fact, if you told me this in 2014, I'd have told you that you were just crazy. I would love to fight (and probably puke a few more times) for that 1% chance! 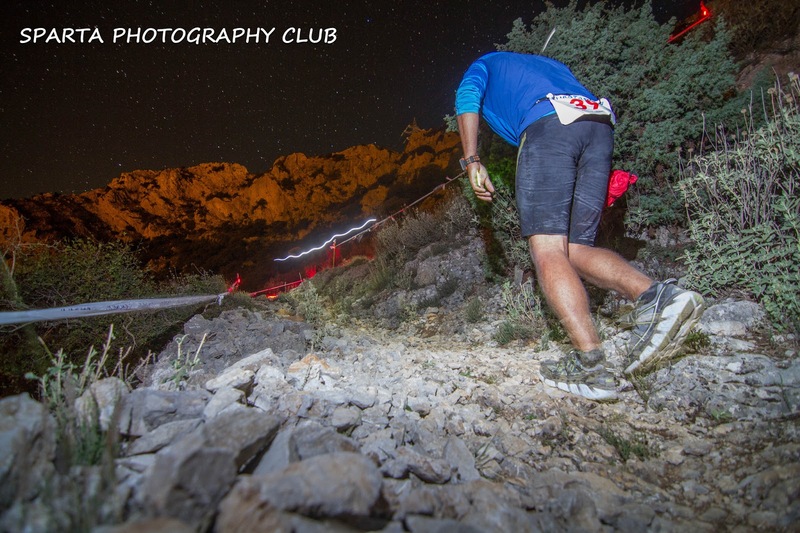 In his second attempt Bernhard finished and did it under 30 hours! He thanked me a lot after the race for it but he did it with my jacket and Suna's headlamp. I told him that it's scary to think what he can do with his own gear, haha! Spartathlon Awards Dinner. 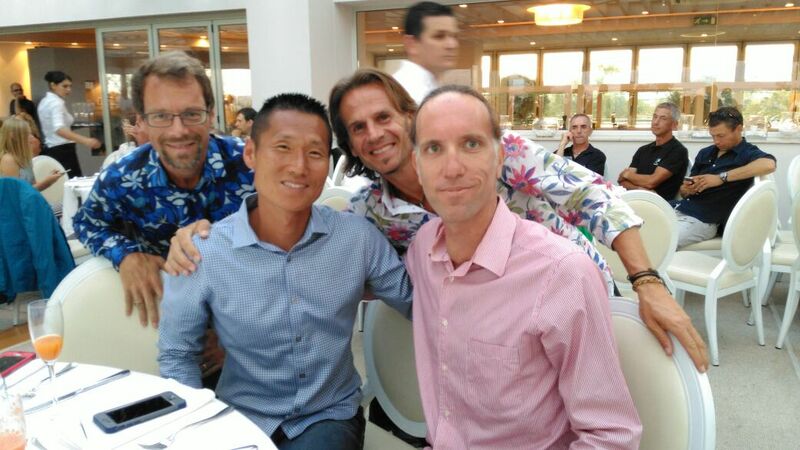 From left to right: 2x consecutive finisher Bob Hearn (Both sub30 with a PR of 27:33), 2x consecutive finisher Sung Ho Choi, 7x finisher Maik Dieroff. Excellent report. 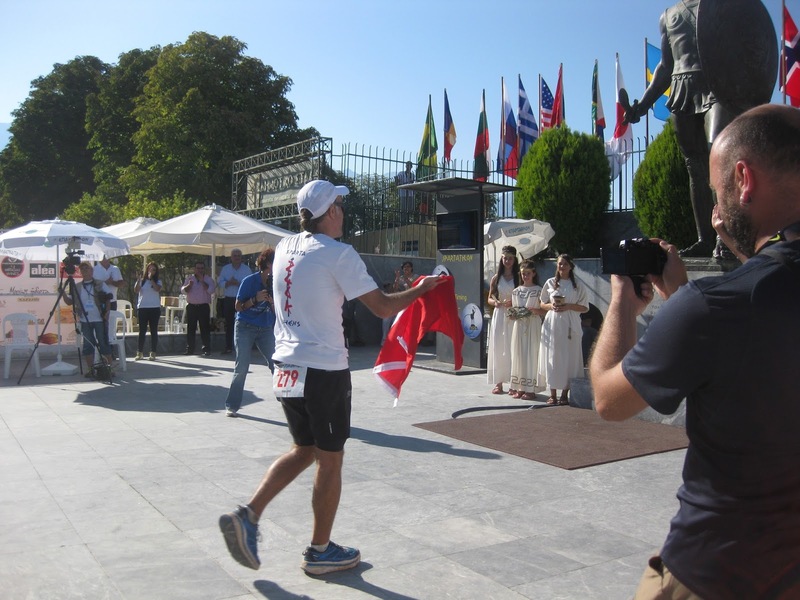 Hopefully we'll see more Turks getting into ultra marathon running.